Amid conflicting accounts on Saturday that Jericho, who was reported to be the ‘brother’ of Cecil the lion, was feared dead, a Zimbabwean wildlife authority has now said that Jericho is still alive.The Zimbabwe Parks and Wildlife Management Authority, the government authority on wildlife in Zimbabwe, said Sunday that Jericho is living and being monitored by Brent Stapelkamp of the Lion Research Project. The authority also emphasized that Jericho is a ‘coalition’ partner to Cecil, not a blood-related sibling. It released a photo of Jericho as of 7:06 a.m. on Sunday feeding with the pride. 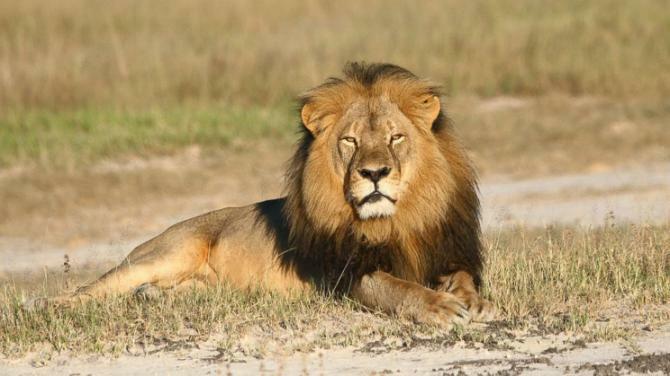 Oxford University Department of Zoology/WildCRU, whose study lion was Cecil, also said that Jericho is alive and well. The department also mentioned that both Jericho and Cecil are not brothers, and that unrelated male lions form coalitions to defend their territories. Earlier, the Zimbabwe Conservation Task Force, which is not an official government agency, told ABC News Jericho was shot and killed Saturday at Hwange National Park. "It is with huge disgust and sadness that we have just been informed that Jericho, Cecil's brother has been killed at 4pm today," the Zimbabwe Conservation Task Force said in a Facebook post. "We are absolutely heart broken." Johnny Rodrigues, chairman of the Zimbabwe Conservation Task Force, told ABC News Jericho was shot by a hunter and died at 4 p.m. local time, just a half hour after the park put out a statement at 3:30 p.m. announcing a ban on hunting all lions, leopards and elephants. "The park released the statement at about 3:30, and not even half an hour later I got a phone call that Jericho was killed," Rodrigues said. The death was confirmed by park employees, but the hunter was not in custody, Rodrigues said. After Cecil's death, Jericho became the protector of his cubs, according to Rodrigues. "The families had already united," he said.